Hops are a life blood to a brewery. Not having the proper amount in stock can cause problems in production, but finding the right balance between having the supply, predicting a demand and formulating recipes can be tricky. Many breweries that plan to brew larger volumes come out of the gate by signing contracts to endure a front-end risk financially, but it can help a brewery sustain for the future. 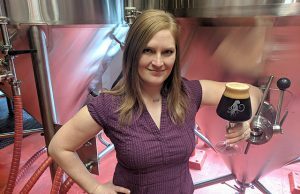 “Contracts are so important because they ensure that you at least have some of what you need if not all of it,” explained Cris Ellenbecker, the Brewmaster for YeeHaw Brewing. “When you spot buy hops, especially hot varieties, there’s no guarantee that they will be available. Contracts are very important for any production brewery added Rhinegeist’s Cole Hackbarth. Hackbarth pointed out that when the brewery ran short on hops, the good relationships they had in the hop industry made it possible to find what they needed. “Looking forward, those contracts and relationships are giving us access to new and hard to find varieties that may not hit the spot market,” he said. Dean Roberts, Knee Deep’s Brewmaster narrowed down contracting to quality, consistency, and cost. Hop contracts have proven to be a major pain said Red Hare head brewer Bobby Thomas. That has happened for Great Divide. 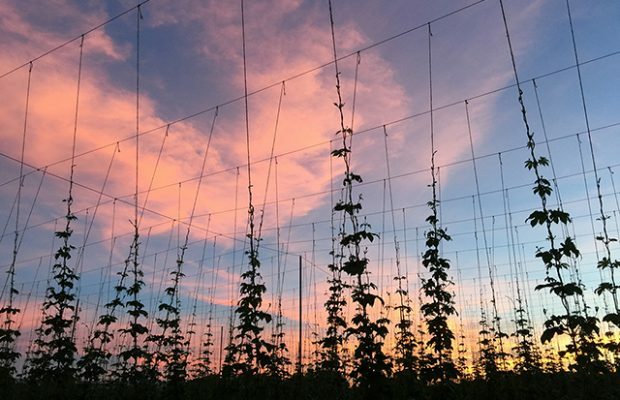 It’s not hop shortages that have impacted their production goals. “We have the almost the reverse challenge of sitting on long contracts on certain varietals that were primarily used in one brand that has now been discontinued,” explained Brewing Manager Brandon Jacobs. “Since the varietals that we have are not the ones that consumers are excited about currently, it is hard to offload them to other breweries or secondary vendors without taking a percentage of a loss from the original price. Thomas added that it used to be said for breweries to think of hop contracts with a 80/50/25 plan: Contract 80 percent of what you think you need for next year, 50 percent for the following year, and 25 percent for the year after that. That means adjusting some brew schedules. For Rhinegeist a lack quantities for Southern Hemisphere hops like Galaxy and Nelson Sauvin because of its popularity means beers like their Andromeda, which uses Galaxy only, gets into the seasonal rotation when they can get the hop. A beer called Fiction which used all New Zealand hops has had to be scrapped due to scarcity of the varieties. Jacobs credits some of these shortages, like to Galaxy and Citra because of the surging Hazy IPA market by consumers. “Limited supply and huge demand will do that,” Roberts said. Ellenbecker said there are some pretty standard contracts, especially if a brewery is rolling contracts over with the same company. “It is all dependent on the variety of hops that you are trying to contract too,” he said. “It’s all about getting the best deal all around. If you are getting great prices for a specific variety from one farm, try to get a couple years worth of contracts with them, because that same price for that hop might not be there the next year through someone else, or the price could jump if you weren’t already locked in at that price. 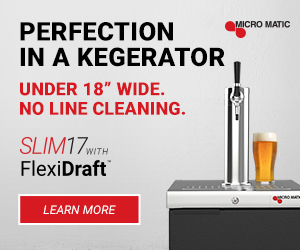 Each broker will start with a contract based on what a brewery is asking for. It could be for a single variety or many, for one year or several. Hackbarth said terms depend on the volume a brewery is contracting and for how many years. “It is also important to remember hop contracts are set on crop year, which is different from brew year,” he noted. “The brokers have finance and storage fees that start incurring as they are getting ready to harvest the next crop in the summer. So you will want to keep that in mind when planning your orders. Rhinegeist currently has 26 varieties contracted across six brokers up to four years out. “It can quickly become overwhelming but regular check-ins and adjustments on those contracts make the process easier on both sides,” Hackbarth said. Jacobs said he thinks hop vendors are best viewed as partners in craft brewing. When Knee Deep started planning an expansion and needed to secure hops for a production-type brewing schedule, they wanted to make sure we would be able brew the “core” beers they had developed on a consistent basis. “We were also told to secure as many contracts as we could by multiple brokers because there could be another shortage coming and if we were a little over-contracted there would be no problem getting rid of excess,” Roberts explained. “Not the case. Seems like there are plenty of hops available without a contract now and [it’s] difficult to get rid of your excess unless you somehow have extra New Zealand and Australian hops, or some of the newer American varieties. 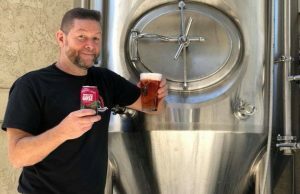 Jon Cross, the co-owner and head brewer for Call to Arms Brewing would suggest using the spot hop market until a brewery has its needs dialed in. Ron Abbott, the co-owner for Seedstock Brewery recommends smaller breweries to go to the secondary hop market, such as the Lupulin Exchange. Dennis Arnold, the founder and Brewmaster at Barrio Brewing just redid their hop contracts with YCH. The original contract signed with YCH in 2016 was a four-year commitment of around $600,000. Arnold was allowed wiggle room this year to move some hops around and also try new ones. The Barrio contracts largely consisted of gold standards like Citra and Mosaic along with the brewery’s heavy lifter, Czech Saaz. Arnold admits they are probably over contracted. Arnold pointed out that smaller breweries need to make a relationship with their supplier. Hackbarth noted for breweries to remember they are all part of the same industry and working towards the same goal. “The better craft beer gets the more of it will be sold and thus more hops need to be grown,” he said. 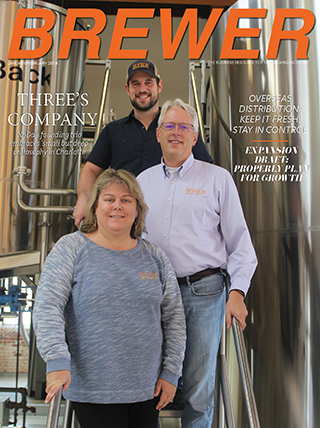 “Everyone wins from brewers to brokers to growers when the brewing industry as a whole does well. 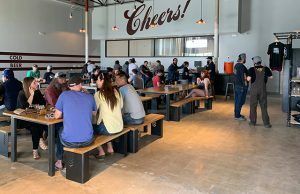 Roberts said he doesn’t know what the hop market is going to be like in the distant future but he doesn’t think newer, small breweries need to contract. “They should be able to find what they need out there without a problem,” he stated. “They will definitely have to overpay for some Nelson or Galaxy, but most of us are.